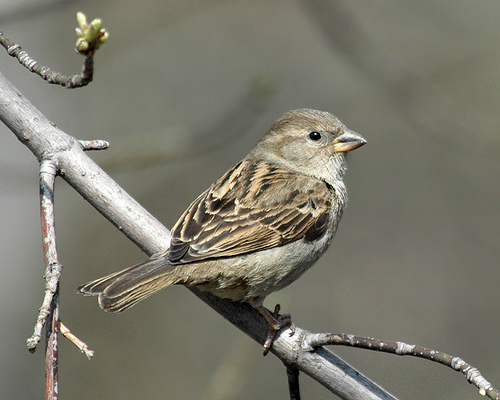 The House Sparrow has a thick beak, suitable for eating seeds. The Dunnock has a thin beak, with which it can eat insects and caterpillars. 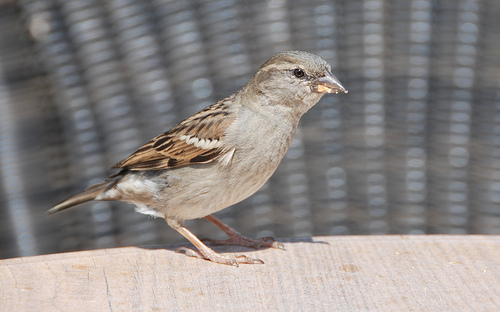 The Dunnock sings a melodious song, while the House Sparrow has its distinctive chirping.